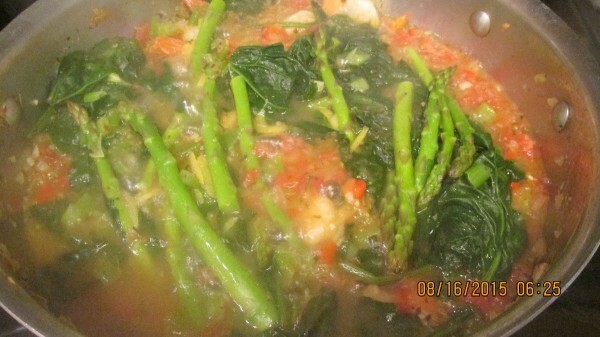 This recipe is full of flavor and wonderful veggies. It can easily be customized to contain your favorite vegetables too. This is a guide about zesty shrimp and veggies. This recipe was made up as I walked through the doors of the supermarket. Only knowing I wanted it to have shrimp. 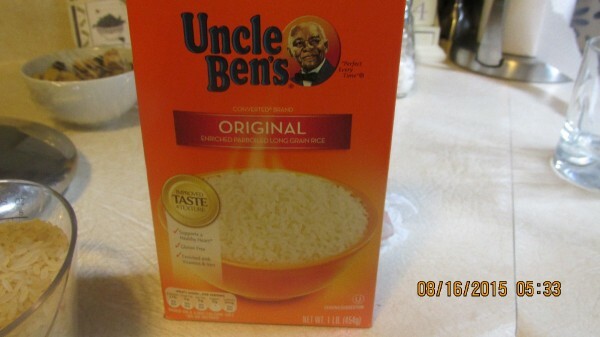 Then off to the produce department for the bulk of this wonderful invention. You will be amazed. I was! 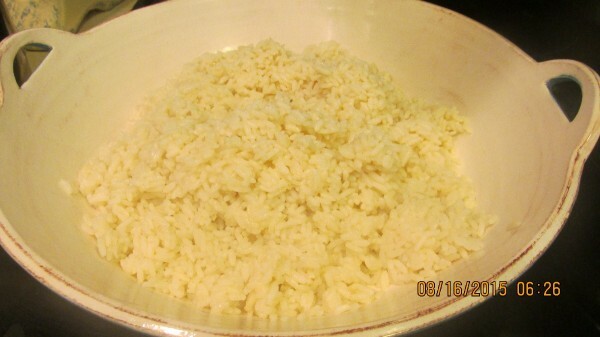 Cook long grain rice for 6 servings. Use a large deep stainless steel covered skillet. Add olive oil and heat on to medium. 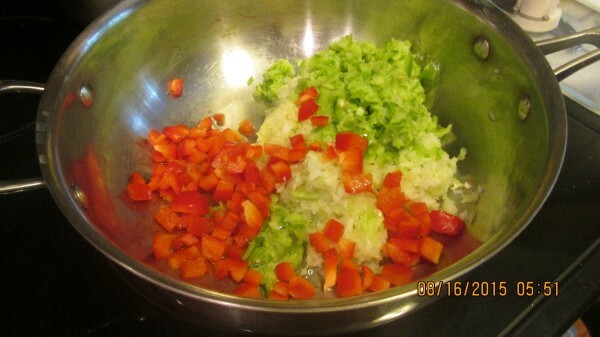 Add celery, onion, garlic, and green pepper. Stir veggies in oil until tender. Add diced tomatoes. Add 1 cup of water rinsing out the can. Bring to a boil. 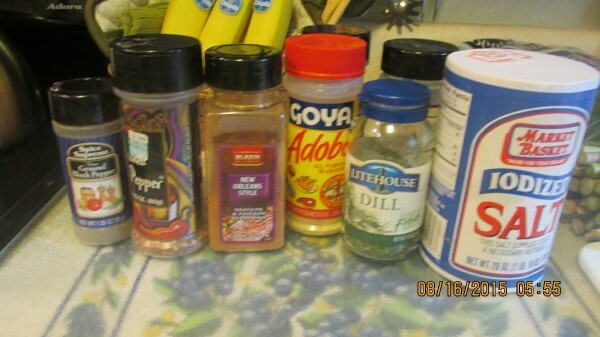 Stir in the spices, test taste after simmering... add more if you like. If too spicy, drain off a little liquid and add a little water. Add wine and lemon zest. The next steps are very fast and vigorous. 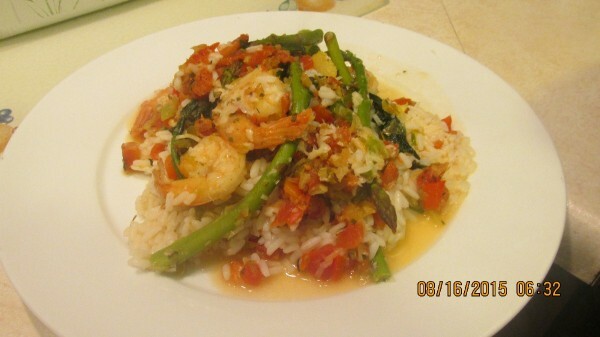 Toss in the rinsed shrimp, followed by, asparagus, scallions, red pepper and spinach. Do not stir. Cover immediately for 10 minutes. 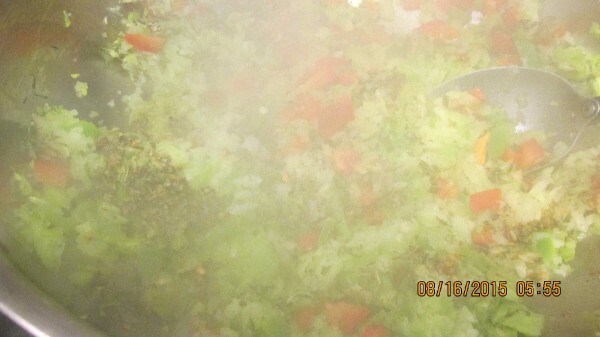 Remove cover, toss slightly. Remove from heat. Using a nice Italian serving platter. 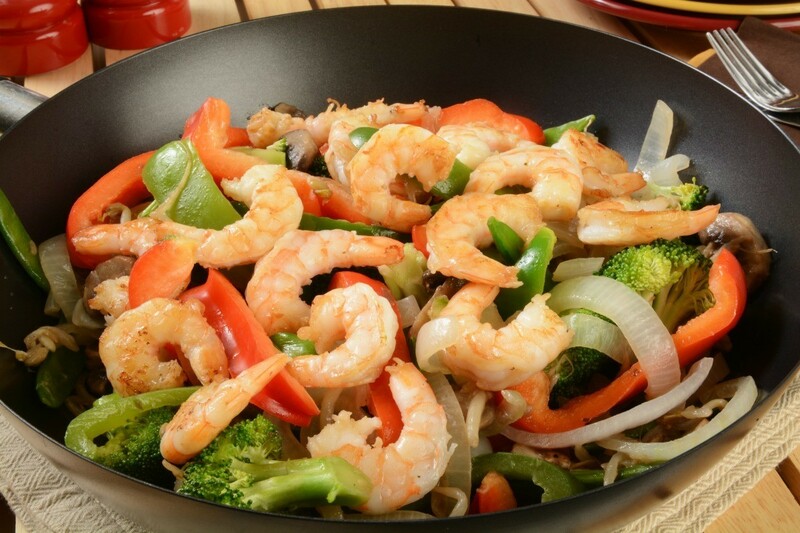 Place cooked rice in the platter, Top the rice with the tomatoes, arranging all the beautiful colorful vegetables & shrimp on the rice for a wonderful presentation. 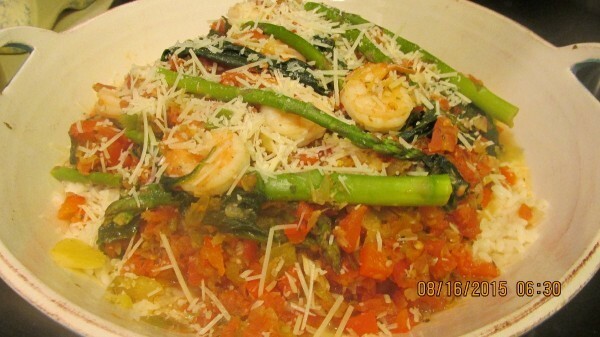 Top with fresh shredded Parmesan. This dish is so full of great flavors.